in a span of over 3+ years in the Indian equity markets. sustainable competitive advantage and the ability to generate wealth. opportunities or companies that have superior economics of business and are available at attractive Margin of Safety. Our Intrinsic Series is all about identifying such hidden gems from under-researched and under-discovered space! It has obtained 11X+ returns over the same period of time. on your needs and risk appetite! Our Intrinsic Deep Value Fund is a long-term focused wealth-creation product with longer-time horizon, typically over 3+ years in the Indian equity markets. turnover and a high “Margin of Safety” investment approach for long-term and sustainable wealth-creation. Priority is given to capital preservation (not capital guarantee) and it is a discretionary PMS product. 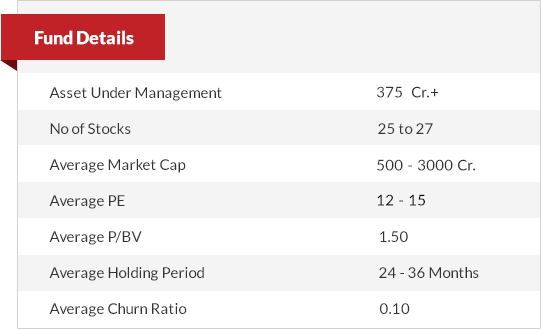 Top 4 Small Cap Funds returns is computed as an average of NAV returns of following MFs: DSP Blackrock Micro Cap (G), Franklin India Small Cap (G), Sundaram S.M.I.L.E (G), ICICI Pru Mid. Cap(G). KEY POINT: TRUSTLINE RETURNS ARE NET OF MANAGEMENT FEES, BUT PRE PERFORMANCE FEE CHARGES. Equity (in India) is the most attractive wealth-creating asset class , because..
India has become the fastest growing economy ( outshining china) . India’s changing demography ( high proportion of young population) to propel consumption demand over long-term. India macro turning attractive on long-term fiscal consolidation. Slow and Steady - Preserves the Capital and Beats the Fixed Income! 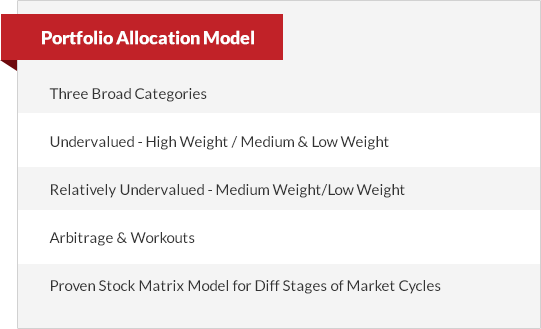 An arbitrage fund, Intrinsic Floater fund aims to provide stable moderate returns by investing in equity and debt securities of companies that are impacted by special corporate events. 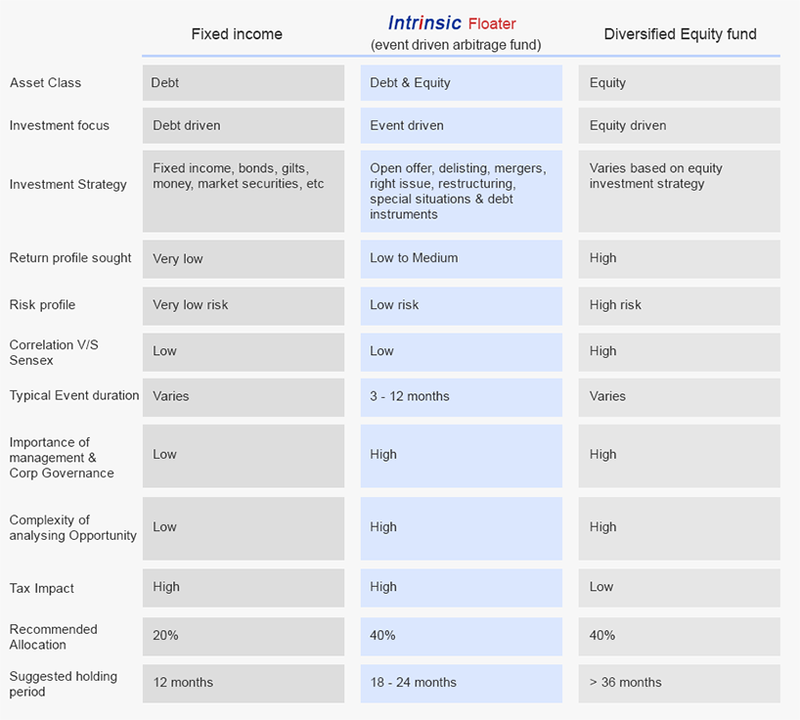 The main objective is Capital preservation across market cycles and the fund aims to generate superior returns (about 400 to 500+ basis points over FMP / FD returns) than fixed income instruments (Fixed deposits, Bonds, etc. ), by identifying and quickly executing the low risk unique event based arbitrage opportunities.